Running a successful automotive shop requires you to consider many different factors - one of which is employee uniforms. 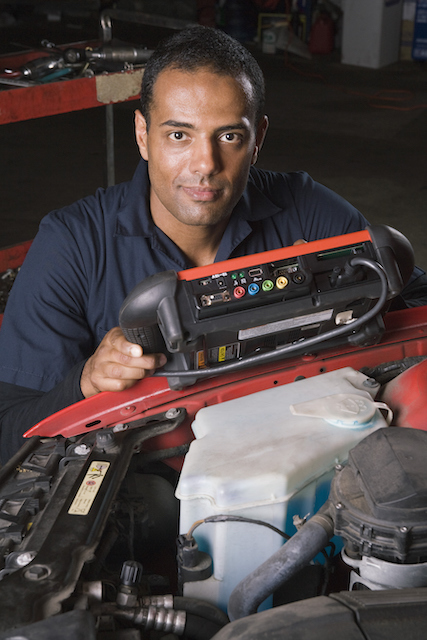 Uniforms are a vital part of many businesses, and for auto shops, in particular, they can be critical. Not only can they help employees stay safe, more productive, and have better teamwork, but they can improve customer opinion and help with advertising. That said, choosing the right uniforms for each job is an integral part of ensuring how effective they are. The staff in your front office will be making the first impression of your business. This means that their uniforms can’t be overlooked. Not only must they be clean and presentable, but they should be well cared for and always fitted correctly. While these uniforms can be the same as the rest of your staff, it might be useful to have them in a different color or with a subtle difference so that everyone can distinguish who is in what role. While they may be less seen by the public, your back-room staff should still have a proper fitting, clean, and well-kept uniforms. That said, the most critical aspect of these uniforms is that they are safe. Depending on the job they may need more or less personal protective gear to be used with their uniforms. This can include gloves, goggles, heavy duty boots, and heat and flame resistant fabric for their clothing. Because of the dirty nature of the work, always ensure that your uniforms are made from a durable material that can stand up to heavy washing. As you navigate which uniforms will be best for each role, it’s vital that you do so while creating a clean and consistent look. Most uniform makers and rentals will be able to add a logo and use custom colors for your uniforms, so be sure to take advantage of these to your best ability. When choosing your logo and colors, be sure that you’re using something easy to read, uncluttered, and visually pleasing. Keep in mind that your staff will need to be comfortable wearing what you choose, so while your logo may be vibrant, it's likely best to keep the uniform fabric itself within a range of neutral colors. For all your protective footwear needs, turn to the professionals at Chesapeake Uniform. Chesapeake Uniform has been providing uniform rental services for over 30 years to Maryland, Delaware, D.C., southern Pennsylvania and northern Virginia. We pride ourselves on being able to offer our customers the most competitive prices thanks to our national affiliation with Apparel Masters. Want to get started with our services? Do you have questions about our services? Contact us today by calling 410-558-3360.